Home » FAQ » Do you have Terms & Conditions? Comments Off on Do you have Terms & Conditions? Best Cleaning London agrees to perform the work specified by the Client in professional manner using every care to accomplish a satisfactory service. 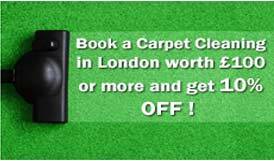 By ordering Best Cleaning London services via telephone, e-mail, fax or website the client is agreeing to be bound by Best Cleaning Terms and Conditions of Service.